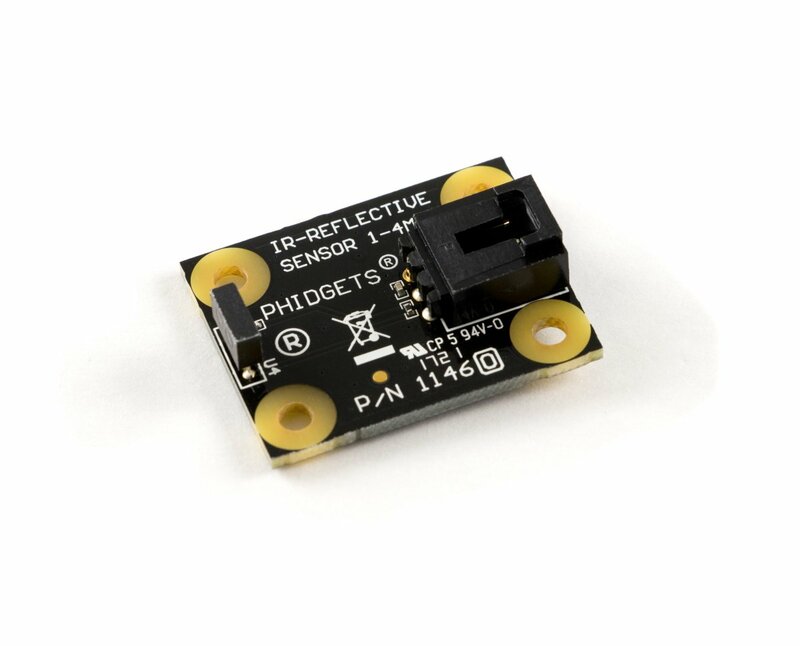 The 1146_0 IR Reflective Sensor uses an infra-red LED and a phototransistor to measure the distance of an object between 1mm and 4mm away. This sensor can also detect the presence of an object up to 9mm away, but it won't be able to reliably measure the distance. This sensor works best with objects with smooth, opaque surfaces. Because of this, you can also use it to differentiate between a reflective object and a non-reflective object at the same distance. 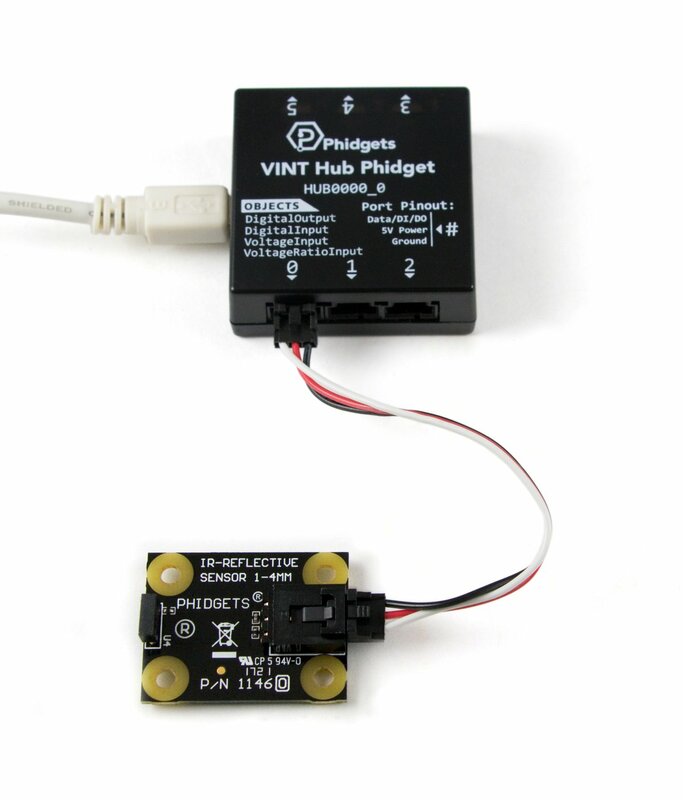 Connect the 1146 to the HUB1000 with the Phidget cable. 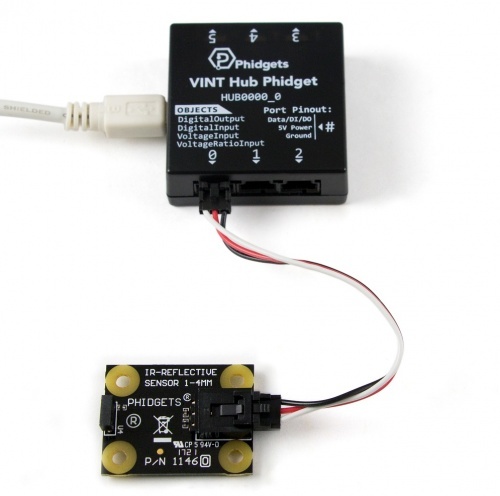 Connect the HUB1000 to your computer with the USB cable. Now that you have everything together, let's start using the 1146! 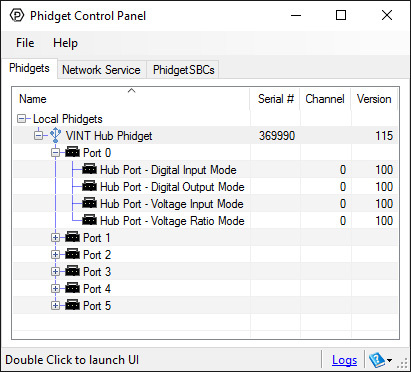 In order to demonstrate the functionality of the 1146, we will connect it to the HUB0000, and then run an example using the Phidget Control Panel on a Windows machine. Linux users can follow the getting started with Linux guide and continue reading here for more information about the 1146. Select the 1146 from the Sensor Type drop-down menu. 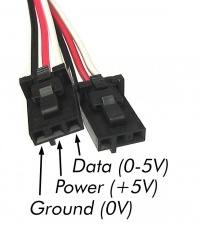 The example will now convert the voltage into distance (mm) automatically. 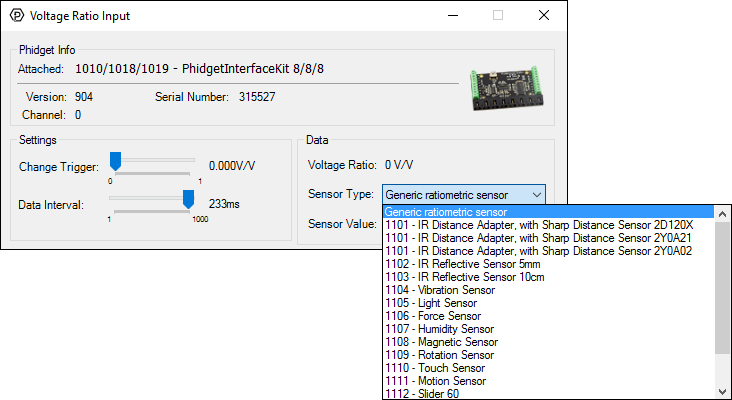 Converting the voltage to distance (mm) is not specific to this example, it is handled by the Phidget libraries, with functions you have access to when you begin developing! 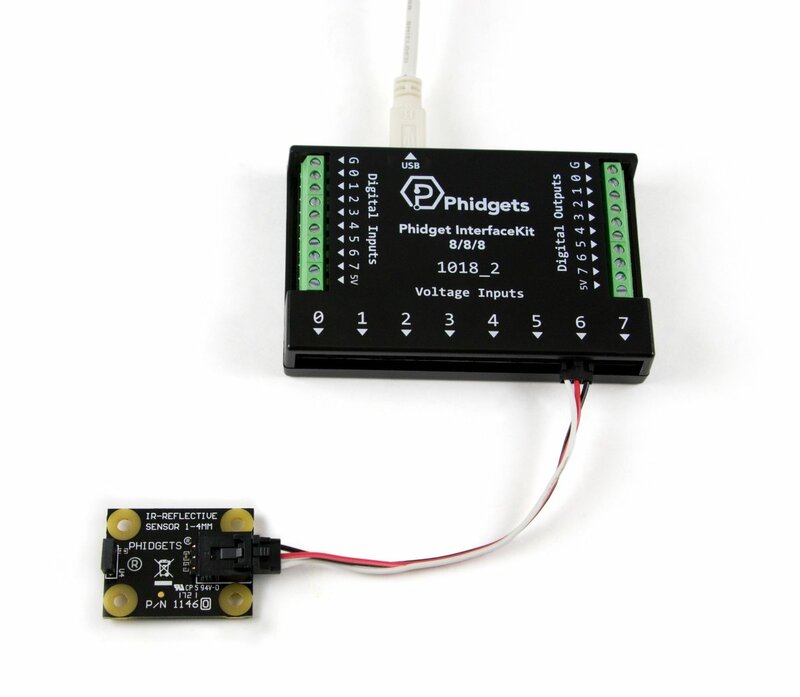 The 1146 can detect the distance of an object from 1mm to 4mm away. Objects with smooth, opaque surfaces are typically easier to detect. 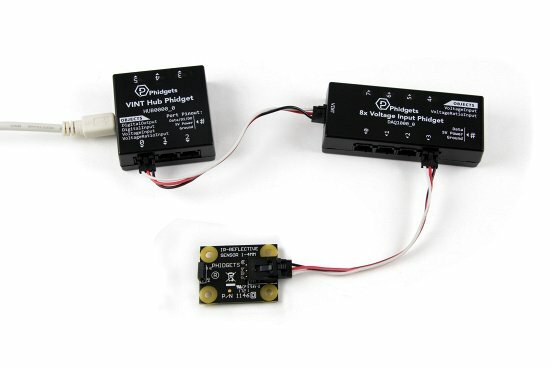 Because this sensor uses infrared light, it works just as well in both dim and well lit areas.